The colder weather is upon us, Clear The Air would like to share some cold weather safety tips for your pets from the ASPCA. Winter walks can even be dangerous from exposure to ice-melting agents if they are licked off bare paws. Taking Your Pets With You On A Road Trip? Road Trip! When traveling with your pets it is important to take extra precautions to make sure they have a good time too. 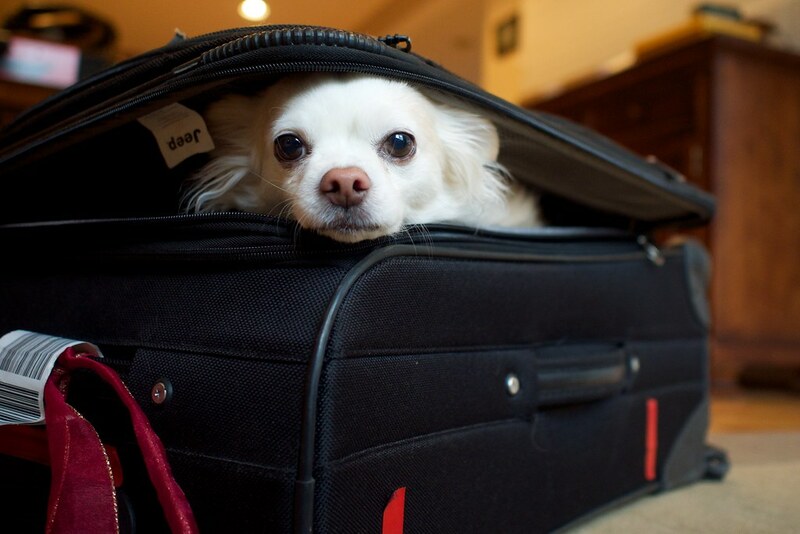 Clear The Air would like to share these tips to keep your pets safe while you enjoy your trip. 1. Prepare – If your trip isn’t right away, prepare your pets with short trips in the car to get them ready for the big day. 2. Pack – Bring your pet’s favorite toys and blanket to help calm them on the long trip. Also pack all the supplies you will need for you pet including their food, water, dishes, bedding, leashes, litter boxes, and any medications they need. 3. ID Please – Don’t forget to bring your pet’s identification. Make sure the identification contains your current contact information and it’s attached to a sturdy collar. This will be helpful in case they do get lost. 4. Be Safe and Secure – Pets are the safest in a carrier. Bring carriers for your pets to ride in while you are driving and make sure they are secured in your car. Sharp turns and sudden stops can cause your pets and their carriers to fall over and they can get hurt. Make sure the carriers are well ventilated and big enough for them to move around comfortably in. 5. Take A Break – Be sure to make several stops along the way so pets can get out of the car and go to the bathroom. Make sure pets are wearing their identification and are on a leash for their safety. 6. Bring Your Pets With You – If you need to stop for a snack, gas, or a meal, always take your pets with you. Don’t ever leave pets in the car even if it’s only going to be a few minutes. If you can’t take pets inside with you, take turns sitting outside with your pets so they are not left alone. The 4th of July is full of outdoor activities with your family and pets! Clear The Air wants to remind you to keep your pets safe while you enjoy the holiday. Here are some food and water safety tips from the ASPCA Animal Poison Control Center (APCC) to make sure everyone has a fun day. Never leave alcoholic drinks unattended where pets can reach them. Alcoholic beverages have the potential to poison pets. If ingested, the animal could become very intoxicated and weak, severely depressed or could go into a coma. Keep your pets on their normal diet. Any change, even for one meal, can give your pet severe indigestion and diarrhea. Foods such as onions, chocolate, coffee, avocado, grapes, raisins, salt and yeast dough can all be potentially toxic to companion animals. Keep matches, lighter fluid, citronella candles, insect coils and tiki torch oil products out of reach. Ingestion can produce stomach irritation and possibly even central nervous system depression. If inhaled, the oils could cause aspiration pneumonia in pets. Don’t let pets drink pool or ocean water. Drinking a large amount of sea water can lead to elevated sodium levels for dogs, which can cause nausea, vomiting, lethargy, tremors and potentially seizures. Pool water, on the other hand, can lead to low sodium levels. Signs of ingestion often start with nausea, vomiting and lethargy, and can progress to depression, unsteadiness, and even coma and seizures. Have your pet take breaks from playtime and drink lots of fresh water throughout the day. If a pet is exhibiting any neurological signs, get into a veterinary clinic immediately. Keep your pet away from ocean critters. Star fish, sea urchins, jelly fish and squid are just a few of the creatures that can pose risk for our pets. If your pet is in or near the ocean, keep a close eye on him or her, and make sure they stay in more shallow water. Avoid Algae. “Red tides” in the ocean are caused by a reddish-brown algal bloom that can be toxic to sea life, humans and our pets—leading to anything from eye and breathing issues to stomach upset, confusion or seizures. Blue-green algae can be found in fresh water like lakes or ponds, and ingestion can cause a serious problems like liver disease or affect the nervous system. Before letting your pet get in any water, check the area for postings and/or the presence of algae. If you see anything suspicious, it would be better to stay on dry land. Practice pool safety. When pets get into the containers of the pool chemicals before they have been diluted, it can lead to burns—both on the skin with prolonged contact, or in the mouth and stomach if ingested. If you have caught your dog ingesting any pool chemicals, give a small amount of water or milk to dilute and then call APCC or take to a local veterinary clinic for evaluation. Halloween is an exciting time of year, but the excitement might be a little too much for your pets. It is important to take simple precautions on Halloween to keep your pets safe. Don’t give your pets any candy and keep the candy bowl out of their reach. Chocolate, xylitol (a sugar substitute), and wrappers can be very dangerous for pets. Make sure your pets are wearing their ID tags even if you don’t plan on taking them out. They could accidentally get out while the door is constantly opening and be scared off by Trick-or-Treaters coming to your house. The loud voices, constant door bell ringing, and knocks on your door can stress out your pet. Keeping your pets in another room during Trick-or-Treating time will help your pets feel safe. As a precaution, bring your outdoor pets inside to keep them safe from any cruel Halloween pranks. Keep Halloween decorations away from pets. If you are going to display your pumpkins with candles, put them where you pets can’t reach or accidentally knock over. Keep the costumes simple! Make sure they fit and are comfortable for your pet. Check for any loose pieces that you pet may be able to chew off and supervise them while they are dressed in costumes. 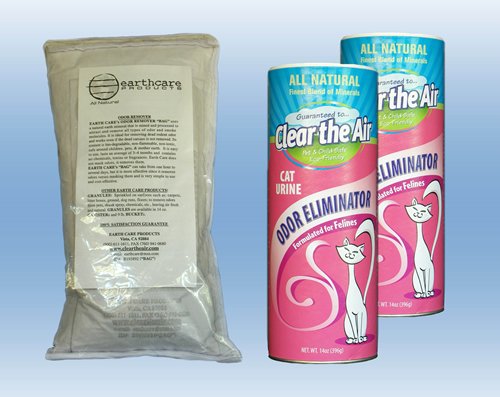 New Product – Clear The Air Cat Bundle! Clear the Air has a new product!! Keep your favorite furry friend happy with the NEW CAT BUNDLE! Clear the Air removes cat urine odors in carpets, concrete, wood floors, tile, furniture, and litter boxes with out chemicals or fragrances. Clear The Air is made from an all natural mineral, is non toxic and biodegradable and safe for Planet Earth. It is also safe around children and pets even if eaten. Add granules to bottom of litter box, add litter then add additional granules on top. Add 1/2 cup of granules each time litter is changed or scooped or as needed. Clear The Air will extend the life of your cat litter! Hang one bag above or near the sand box. The San Diego Humane Society helps many homeless animals find their new home. There are many senior cats in need of forever homes! Since November is adopt a senior pet month, here is a success story about Sia, a senior cat, who is very happy with her new family. We adopted Sia (aka Saipao) in May 2013 and she was almost 15 years old. She will be 16 in November and is going strong. There are many days that I don’t think she realizes how old she is! As you can see, she is a beautiful Blue Point Siamese and she has brought nothing but joy into our lives. There hasn’t been one day with her that we have regretted getting her. I hope by sharing her story that we can encourage more people to take a senior pet into their homes – you will never regret giving them peace and love in their final days/years!